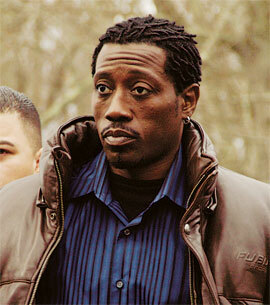 Recently, actor Wesley Snipes was sent to prison because of his tax troubles. In 2008, the actor was convicted of tax evasion and recently he was sentenced to three years in federal prison. Members of his camp have spoken out about how unfairly the actor has been treated. Before being shipped off to prison, the Blade star was working on a new film. Production on this new film, which has been titled, Master Daddy, has yet to wrap. Because of this and for other reasons, Snipes' legal team has asked for him to be released on bail. The actor has been in prison for a few days, but his legal team would rather him be free. Despite being behind bars, the actor's trial has yet to actually start.